In consideration of our artists and patrons in the hall, late seating will take place during the first appropriate pause in the program, at the discretion of house management. Certain programs are performed without intermission; therefore, no late seating can be offered at those concerts. No children under six years old will be admitted. The Walt Disney Hall has a coat check on the main level where you can leave coats and bags. 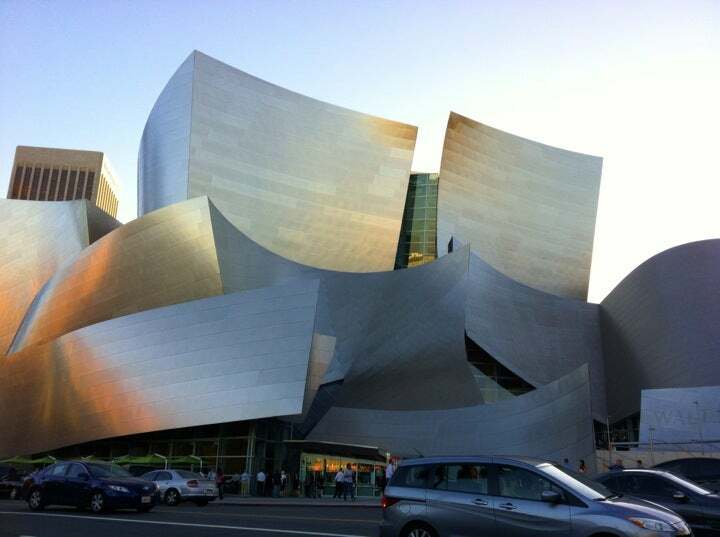 The Walt Disney hall has a decent, ir pricey, cafe. There are other nice, expensive restaurants within walking distance. The weather was Nice and not too cold.. I wore If you want to add up to the experience...dress nicely. But it's just me... I wore a fur coat , a cocktail dress and boots.. If you park on 2nd, parking is $8. And you are walking distance from really great food such as Grand Central Market and Maccheroni Republic. If you would like to eat close by, there is Kendall's - but you must make reservations. We were hungry and couldn't get in without reservations. So we went home. Leave early as the traffic even on a Sunday in Los Angeles is like a slow boat to China. The weather was cold. I wore a sweater, coat, gloves and boots.